-- While sailing solo across the Atlantic, young American doctor Christine Palmer spots a man clinging to debris and rescues him. This sole shipwreck survivor, David Slaton, has a secret. 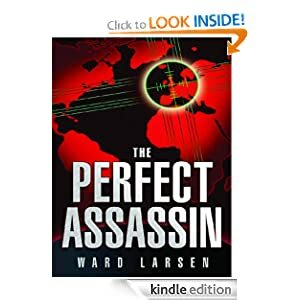 He's a Kidon, a highly-trained Israeli assassin, being hunted by double agents with a terrifying nuclear plot aimed at Slaton's homeland. One perfect shot will change the course of history. Christine Palmer, a young American doctor sailing solo across the Atlantic, makes an incredible discovery - a man narrowly clinging to his life in the frigid waters. But there is much more to this desperate survivor than meets the eye. The Kidon is both the hunter and the hunted, and he and Christine are in grave danger. Will they win in this race against time? 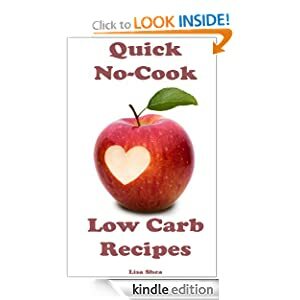 -- This 86-page book on Quick No-Cook Low Carb Recipes is perfect in power failures and other no-power, no-stove, no-microwave situations! As long as your e-reader works, you're all set! Enjoy easy ideas for preparing quick, healthy meals that you will love. Every recipe can be made without cooking. If you've only got five minutes, this book has the answer. Kids who want to eat healthy can make these dishes without any cooking. Even if you're at an office without a microwave, even if you're in a college dorm, you can make these healthy foods and keep your body energized and happy. This book features 31 recipes ranging from easy cheese-plate ideas that any college student can try to more advanced recipes which require a few ingredients to assemble. Explore a new recipe every day for a month and expand your menu choices! 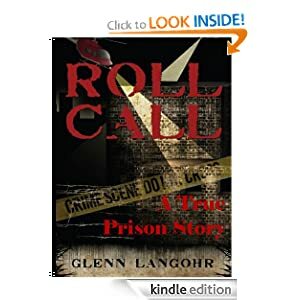 -- Roll Call is a true prison story with a cast of characters that include Mexican drug cartels, Southern California street gangs and Hell's Angels all fighting for their piece of the drug culture. In the middle of it all, B.J. is hell bent for destruction until he realizes his destiny in the nick of time. Add a good detective squeezed out of the loop by an overzealous narcotic detective; a robust prison union trying to call the shots; a handful of drug criminals trying to find their conscience and you have the perfect recipe for a revolutionary uprising, bound by blood, all leaving the reader wondering, who are the real criminals? -- Over 300 000 downloads for the Puzzlebook series! Discover why thousands of Kindle users are addicted to Puzzlebooks. The collection is specially created for all kinds of solvers - beginners, skillful, and expert alike. The puzzles are arranged so that you start with the easy (*) puzzles and progress to the hard (*****) puzzles. 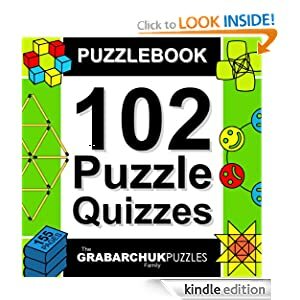 In this brand-new puzzle collection you will find 102 pictorial, hand-crafted puzzle quizzes in different themes: visual, spatial, counting, geometry, matchstick, coins, searching, and much more. Be sure to check Puzzlebook: 100 Puzzle Quizzes, Puzzlebook: 102 Puzzle Quizzes and Puzzlebook: 103 Puzzle Quizzes for more! 100 quick and easy healthy recipes your dog will bark for! -- packed with 100 delicious recipes and useful information on caring for a pooch's nutritional needs. Readers will delight to find 150 easy-to-prepare healthy treat and meal alternatives their pooch will love. From birthday parties to everyday rewards, this book provides a recipe for every occasion. Readers will also learn to care for their furry family member's nutritional health. 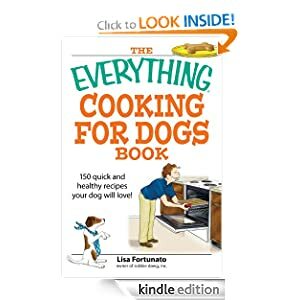 Co-authored by a dog nutrition specialist and canine baker, this book will give readers all they need for fabulous home-made birthday cakes, treats and kibble. NOTE - Before purchasing Free Kindle Books, make sure that it is in fact still free. Though free at time of posting, prices may change at any time. Be sure to verify that the “Kindle Price” is $0.00, before purchasing. If you do happen to buy a book that you thought was free, you can return the book within 7 days for a full refund. Some don't use their last name when requesting freebies - to foil the telemarketers who take your name and address and look up your phone number to call you. To avoid these nuisance calls, they use only their first and middle name, or change some of the letters in their last name. Another benefit is that way you can track where the junk mail came from.